Magog Morris was founded in 1974 in the Horsham area of West Sussex. 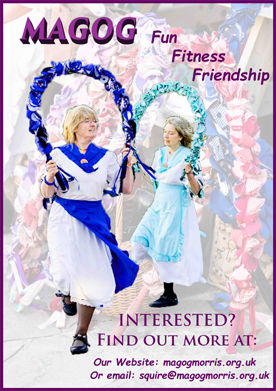 We are a ladies side and dance a variety of traditions including Cotswold, Stave, North West Clog, Garland and dances in our own Horsham tradition. 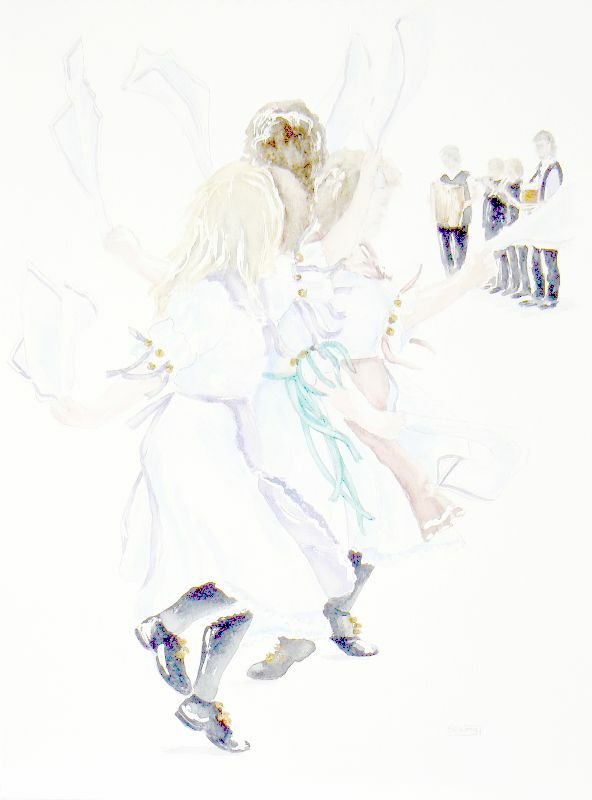 From May Eve until early September we can be seen dancing out and about at various venues in the Horsham area. For the rest of the year we meet at Mannings Heath village hall on Tuesday evenings, to go over familiar dances and to learn some new ones. 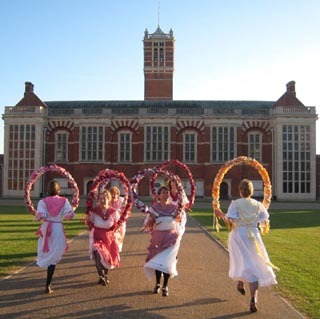 We often dance with other Morris sides and travel all over the country to perform at folk festivals and to join in Morris weekends of dance. Our chosen charity this year is The Phoenix Stroke Club. Thank you for your support. Please use the links on the left to find out more about what we do. If you would like to join us or get further information, please email our bagman. 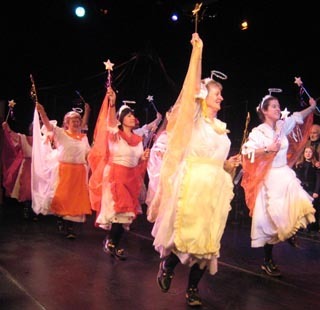 If you're interest in joining us, come along to anywhere we're dancing - click here to see the diary - and talk to Carrie or Deborah.